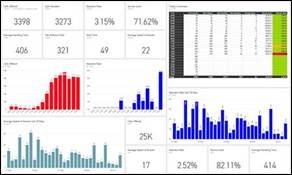 We are very excited to give you a preview of what each of our 18 amazing customers will show you during the Customer Story sessions at the Microsoft Data Insights Summit on June 12 – 13 in Seattle. After much preparation, we've boiled down each presentation to 25 minutes with 5-10 minutes of every session focused on demos. We've made sure we have depth and breadth of customers across several industries like sports, finance, technology, media, and more with many different capabilities showcased, including Microsoft Power BI, Power BI Mobile, PowerApps, R, Azure Machine Learning, IoT, and more. Here's a quick look at what you can expect during the event! 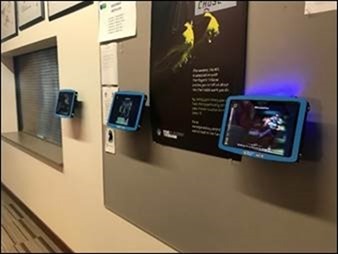 Do you want to see what an NFL athlete from the world champions Seattle Seahawks goes through during preparation for practice? We will show you how each athlete completes a wellness survey on a Surface with face recognition before and then after each practice. 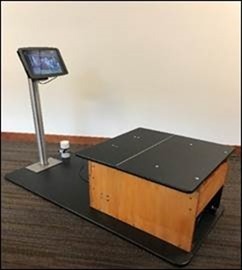 We will then show how they measure discrete changes a player’s lower limb muscle strength with a custom device that updates a Power BI report to visualize the data for the player. Hear from their two sports scientists about how they use this data to minimize injuries and optimize athlete performance in practice and on game day. 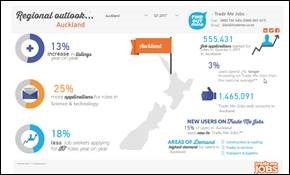 The “eBay” of New Zealand, Trade Me has 3.7M active members in a country with a total population of 4.7M. Phil Seamark, a Microsoft MVP and Architect, will show you how two employees were able to satisfy hundreds of different users by tapping into their 100+ billion records using the entire Microsoft BI stack. He will even show you how their sellers use Power BI to upsell merchants to Premium Services on their portal. 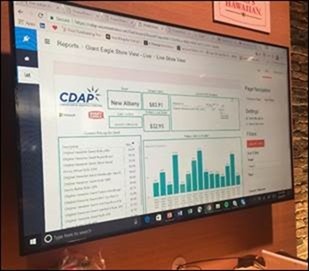 Having all sellers marching to the same beat while being able to change that beat quickly were two major goals that drove CA Technologies to pick Power BI. 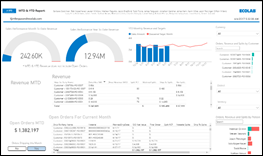 Power BI is the one place where all sellers go not just for relevant BI, but also for any important information needed for their job (pricing, training…), even Help Desk. 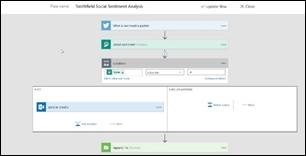 You will see how a customer white paper download generates a PBI alert to the relevant account manager. 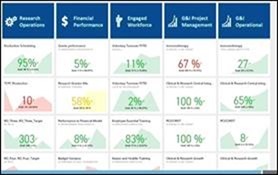 This 100%-employee-owned engineering, architecture, and construction firm is so obsessed with its BI audience that it developed very advanced analytics on analytics to know exactly what BI reports and tools its audience was using. This includes pinging the AS Server every second to know how well it is performing. We will also have a preview of their PowerApps pilot of PM availability. 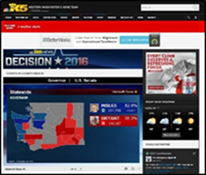 We’ve seen major changes in the way news is delivered, which will be discussed with Cheryl Carson, the executive news director for the #1 News channel in the Seattle area, reaching an audience of over 3 million. 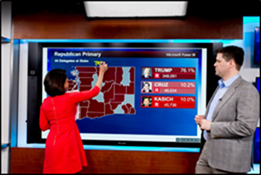 We will discuss how they are integrating more technology into their day-to-day news coverage and the last US elections with the Surface Hub & Power BI. A trusted partner at more than one million customer locations, Ecolab (ECL) is the global leader in water, hygiene, and energy technologies and services that protect people and vital resources. They wanted to provide their salesforce with insights that enable them to be able to tell if they are winning or losing according to their Sales and Service goals. 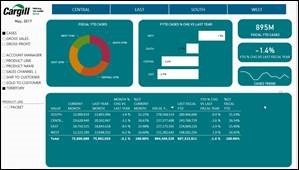 They used Power BI, as well as the ability to take action with seamless integration with Microsoft Dynamics. 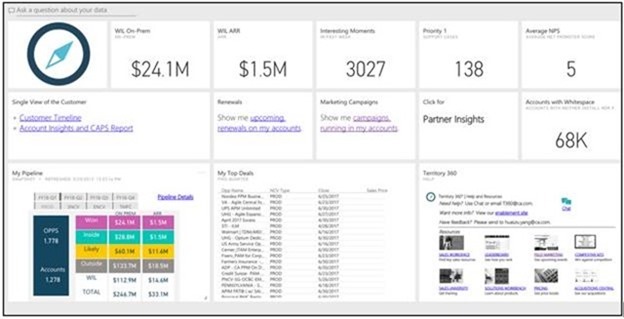 We will demo the new Sales experience and how pipeline opportunity hyperlinks in Power BI can lead directly into the specific opportunity in Dynamics where action can be taken immediately. 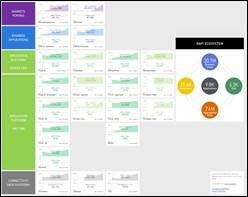 This huge privately held corporation (>150K employees in >70 countries) saw very quick Power BI adoption thanks to its ease of use, ability to scale, and data modeling capabilities. 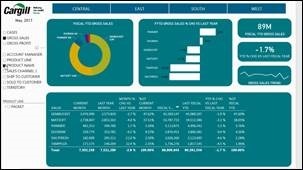 We will demo one of the most popular Power BI reports because of its incredible simplicity, without any compromise to flexibility, thanks to the inclusion of slicers that change the user’s perspective without changing the views. 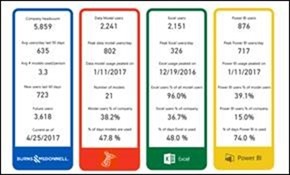 Find out how an insurance leader tapped into Power BI to help its large legal division better analyze trends and save time. Two BI experts will start by sharing trends and architecture and then drill down to demo adjuster and auditor reports and dashboards. 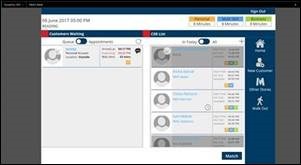 The discussion will cap off with favorite features and BI’s external sharing opportunities. This food industry leader, employing more than 50K people worldwide, wanted to bring together the 12 different brands and multiple channels to drive harmonized analytics. 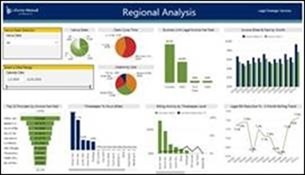 We will demo how this information came together in Power BI, including the use of advanced analytics with R. We will also show how PowerApps is used to drive action. 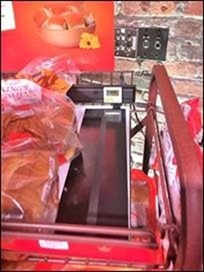 This product is tackling a key problem in retail and online shopping (empty shelves) with a patented IoT solution that senses when shelves are empty and sends an alert that updates a Power BI report. 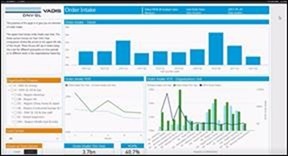 During this session, we will physically show how removing a bread loaf from a shelf triggers a Power BI alert, which can drive instant shelf replenishment, and we will also demonstrate Powershelf’s robust analytics that can help manufacturers, retailers, e-Commerce and even the medical industry make better strategic choices. Most of us have passed through this airport without realizing the massive logistical and operational challenges faced by their operation teams every day. 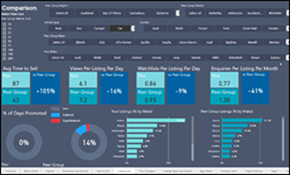 We will demo how Power BI is used in a very innovative way to identify issues in departure, arrivals, and transfers. We will even preview a synoptic panel of the entire airport showing status by gate. 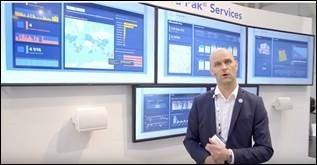 Driving digital transformation to this 150+ year old world’s largest classification society wasn’t an easy task, especially when you operate 350 offices in over 100 countries. 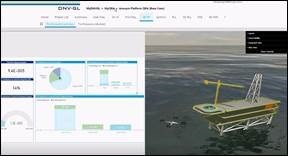 DNV GL decided to invest a lot of time and effort in consistent design/process and format with very advanced Power BI Embedded. This included an impressive 3D perspective of an audited platform which will be demoed during this session. How do you predict failures before they happen and prevent breakdowns? How do you monitor and drive performance in hundreds of factories and on thousands of machines? 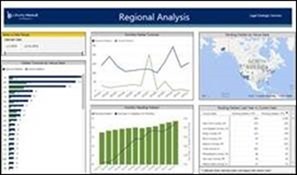 In the Tetra Pak Quality & Performance Management Centre Four Power BI reports, connected on 4 screens next to each other is used in operation. We will show how this worldwide leader in food packaging and processing goes through this end-to-end process from discovering an anomaly in worldwide view to preventing the breakdown on the actual piece with the anomaly. 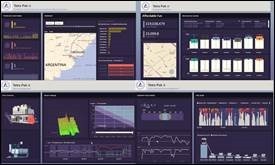 How Microsoft leverages Power BI to run organization with tens of products and thousands of engineers? 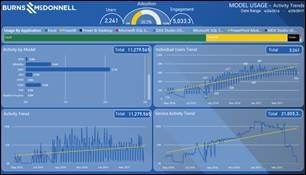 We will showcase the actual real-life Power BI dashboards, reports and analytics used daily by Microsoft executives in interactions with their teams to run complex, winning product businesses. 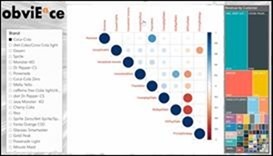 We highlight key principles driving our success, revealing our thinking on selection of KPIs, data integration, architecture, technology adoption and data quality. 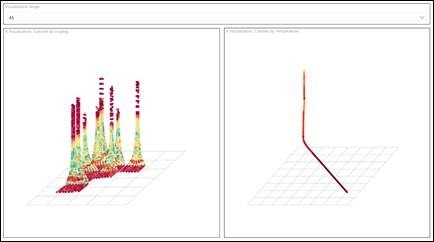 How do you provide BI to geophysicist in the field looking for natural resources, and to top executives in the most concise and effective way? With Power BI. 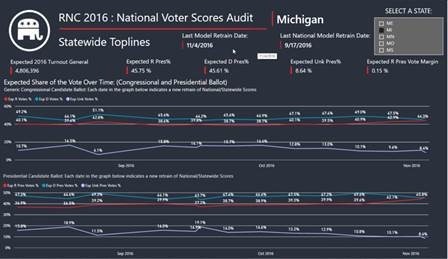 Be prepared to see maybe one of the most amazing 3D R-based Power BI visuals used for wellbores, and how easy it was to build. 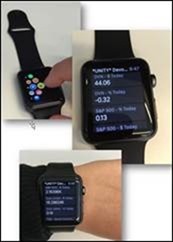 You will also see an Apple Watch report used by their executives to monitor key business indicators. Immunotherapy is yielding very promising results with respect to cancer treatment with children, and Seattle Children’s Hospital is a pioneer in this area. We will hear about their significant challenges when it comes to data and legacy systems, and their relentless drive to optimize operations so they can save more lives. Metro Bank is one of the fastest growing banks in England because of a relentless focus on customer satisfaction and a deep culture of analytics spread across its entire workforce. 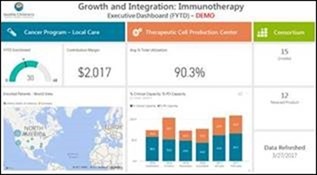 Their Chief Data Officer will share with us the progress they have made in integrating Dynamics and PowerApps to drive action based on the insight from the only BI tool they use across the company: Power BI. We will be recording several customer sessions and plan to share them on demand in the near future. Stay tuned for more to come, and we hope to see you at the Microsoft Data Insights Summit!